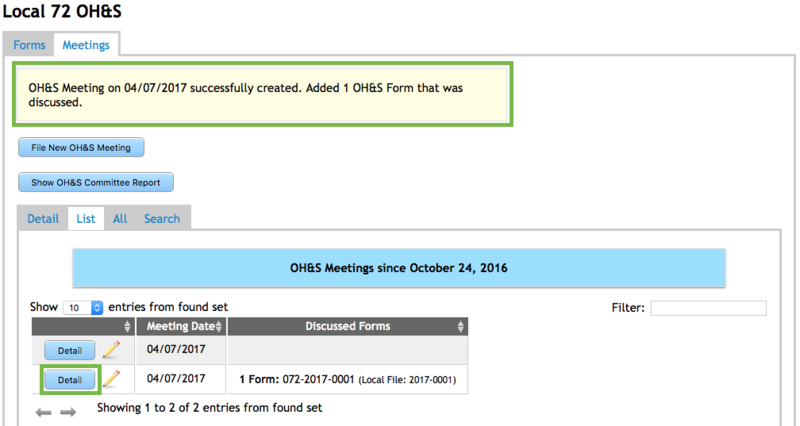 This feature allows for notes from Local OH&S Committee meetings to be tracked. Forms discussed at meetings can be attached to meeting documentation. 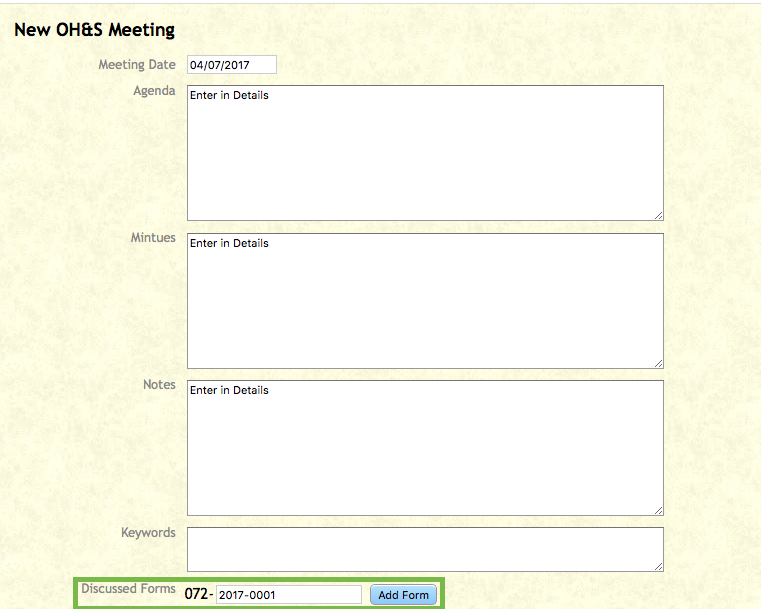 To document OH&S Meetings, click on the Meetings tab and then click on File New OH&S Meeting. The New OH&S Meeting screen will open. Complete the fields to document the meeting. Forms discussed in the meeting can also be attached to the documentation for future reference. At the bottom of the notes is Discussed Forms, enter the form’s Assigned Number and click on Add Form. The Form will be attached. There is a Trash Can beside the form number in case the incorrect form is attached or the Form is no longer required. Click on Save to save the documentation. Back at the Meeting tab there will be a note that the meeting record was created successfully. All meetings will then show in chronological order. 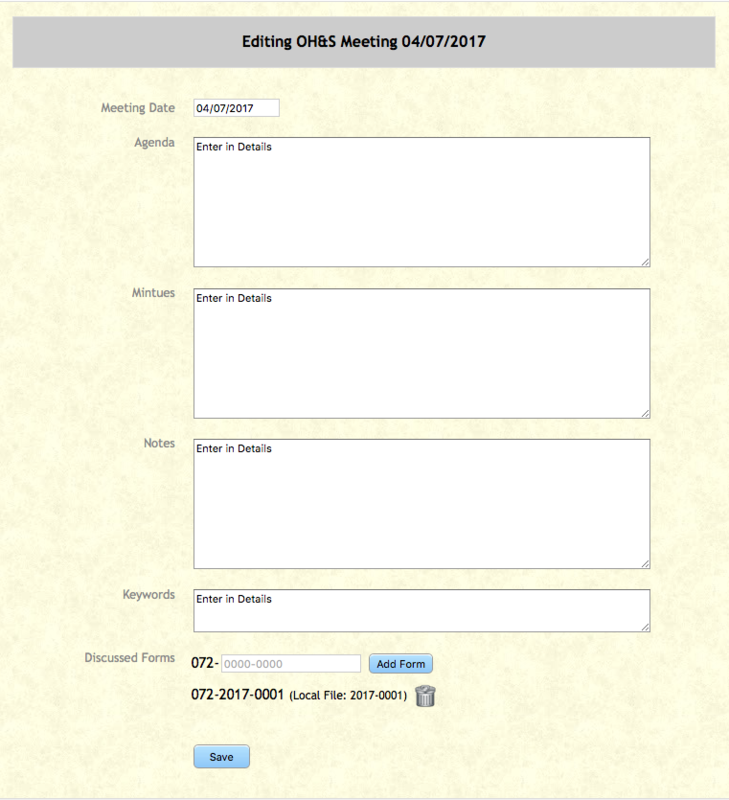 Click on the Detail to see the summary of the meeting and forms attached. Click on the Pencil to go back into the documentation of the meeting to make modifications.